allie-oops sweet happy life: How Many Makes A Flock? Cuz there is a flock here - of Jenny's gorgeous Holly Birds! I love this design. LOVE LOVE LOVE these birdies. I'm making 5 table runners, and each runner will have 2 birds - I have yet to stitch down the applique, then embroider the details, which are beyond sweet! Think I'll be able to finish in time? I still have no clue what I'm going to use for the ornament, either a fussy cut fabric or a special Christmas button....both of which I have yet to purchase. 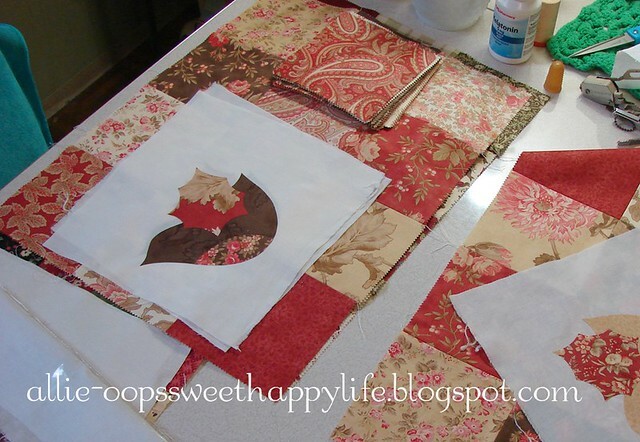 And oh yeah, binding - what to use for binding!! I'm sure I'll figure it out. If you'd like your own flock, Jenny's pattern is available in her shop, just click HERE! My gorgeous friend Cathy doesn't have time to crochet herself some dish cloths, so I offered. I love to crochet, and I don't have to look at it - so I can watch The Voice! Can't wait to find out tomorrow who wins! and after I begged pleaded asked, I opened it, and isn't this too cute!!! 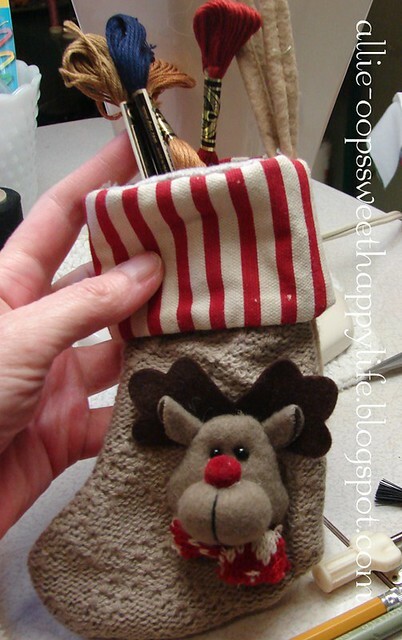 A little reindeer stocking with gorgeous floss colors! And get this, I did NOT have these colors, and they go perfectly with Jenny's birds that I'm doing! How did she know!!!!!!!!!!!!!!!!!!!!!!!!!!!! Two of the skeins are missing in that pic because they're already in use - and now two more have been put into service! Thank you darling O'Faigh, you saved me a trip and the trials of matching colors under fluorescent lights! Not to mention MADE MY DAY! Ok back to the coal mines, folks, I'll be head down needle up until these are done....so see ya later, alligator - in awhile, crocodile - gotta go, buffalo - take care polar bear - toodleloo, kangaroo [for my Aussie friends] - out the door, dinosaur - well, you get the picture. Wait, nothing rhymes with picture.....STITCHER!!!! That's me, a picture stitcher!!!! I have the TV on all the time while sewing, knitting, crocheting, etc. I only need to glance at the tv occasionally to know what's happening. I love that cone of cotton yarn. Where do you buy that? Happy holidays, Allie, to you and your family. You are right, those birdies are cute! 5 runners before xmas....can she do it? Of course she can...just call her Super Stitcher lol. Love your bird runners you are working on...They are going to be so gorgeous when completed...Aren't useful crafting gifts just the best thing to receive. Yes, I watch tv, cannot just sit, have to have at least two things going on, lol. I never watched talent shows either, but they hook you;) It is easier to watch those and stitch, since I can listen instead of watch. Your birds are darling Allie. Good luck finishing your table runners! 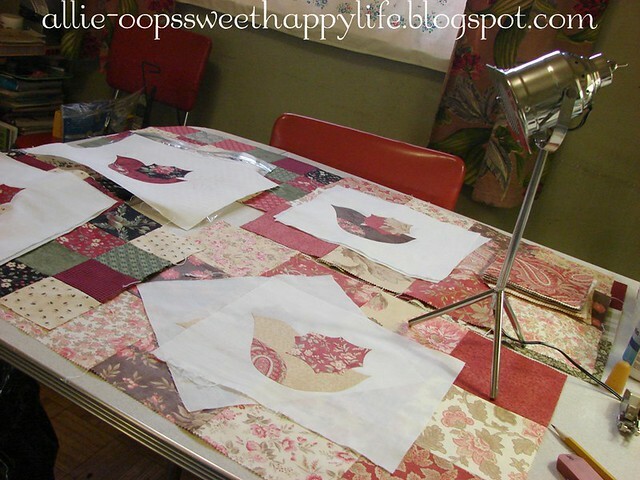 I really love the fabrics you have laid out for your table runners with birds. It is going to be so beautiful! perfect fabrics for your holly birds.... and I love the little special stocking with threads..... handmade dishcloths are the best.. Your birdies are cute! And so is that adorable little reindeer stocking!! I absolutely love him. Enjoy your stitching. I am lost for words...wow, your version of the Holly Birds is adorable!! The fabrics you've chosen are so perfect, so elegant, Allie! I love Jenny's birds, too. That's my favorite one. I'm going to use the button bird on the swap. 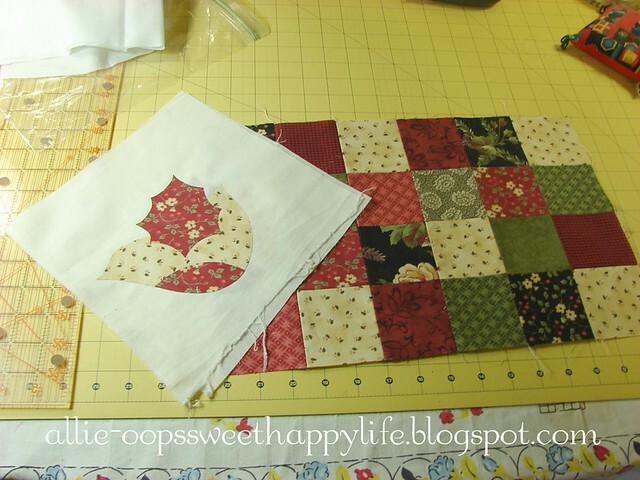 Are you doing the Stitchery Club and the SC swap? Love your birds. Looking forward to seeing the finished table runners. Looks like you are getting a lot accomplished! I looove Jenny's birdies too. 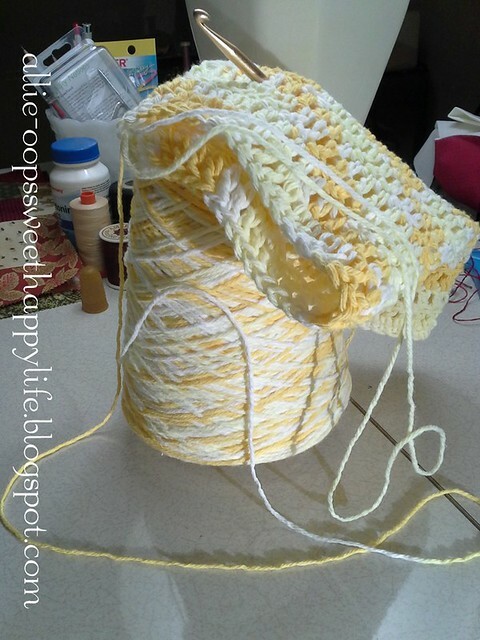 Yours look rather stunning.Love that yellow vatiegated yarn you are crocheting with. I do a little crocheting but still learning. I am a better knitter but find the rythm of crocheting to be peaceful. Easier to pick up dropped stitcges too hehehe. I always watch TV or dvds when I stitch. I am mostly a hand piecer and do heaps of stitcheries. I detest so called reality tv and find there isn't much else on thus the dvds. 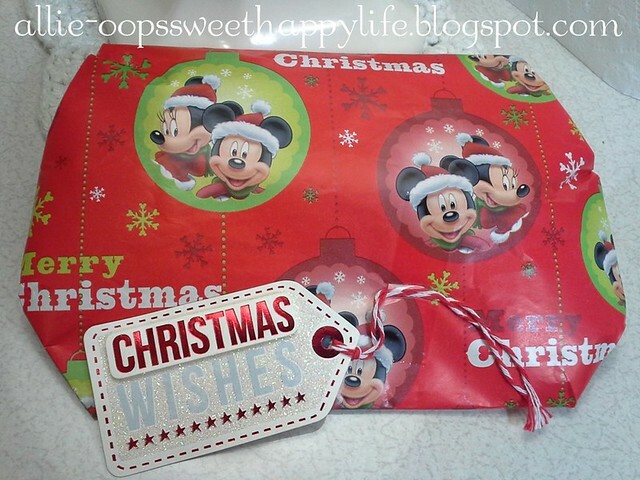 I hope you had a wonderful Christmas.